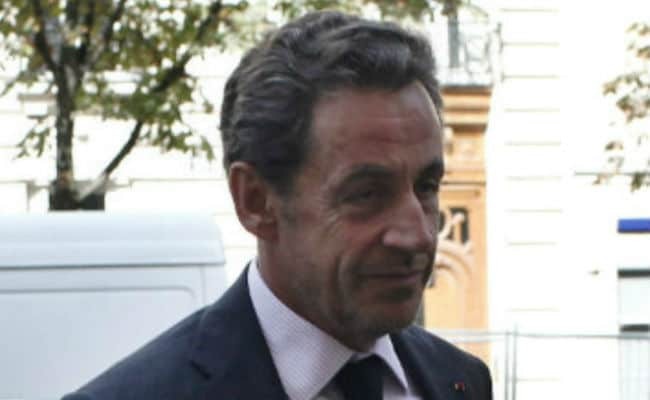 Nicolas Sarkozy was seen entering the offices of investigators who had placed him in custody and started questioning him on Tuesday. Nicolas Sarkozy and his lawyers have not commented publicly about the latest enquiry. Paris: France's Nicolas Sarkozy faced a second day of questioning on Wednesday by investigators looking into allegations that his 2007 election campaign had received funds from late Libyan leader Muammar Gaddafi. Sarkozy, president from 2007 to 2012, was seen by a Reuters photographer leaving his home in Paris with his lawyer in a car, then entering the offices of investigators who had placed him in custody and started questioning him on Tuesday. That start of a second day of questioning was confirmed by a second source close to the inquiry who said the session started at 8 a.m. local time (0700 GMT). Neither Sarkozy nor his lawyers have commented publicly about the latest development in an inquiry that began five years ago. But the 63-year-old has in the past called the allegations "grotesque" and a "manipulation". The judicial inquiry began in 2013 after the French news website Mediapart published assertions by a Franco-Lebanese businessman, Ziad Takieddine, that he had transferred 5 million euros ($6 million) from Gaddafi's former intelligence chief Abdullah Senussi to Sarkozy's campaign chief.